My name is Shadow I'm 1 year old a total hunk! My unique markings are very special. I have a blue and an amber eye, so people always complement them. 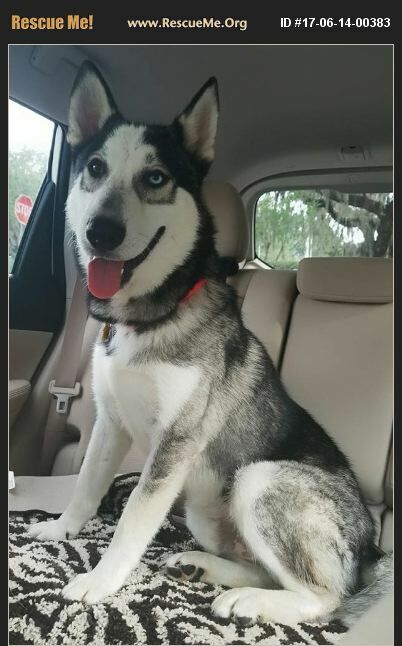 I am petite for a male husky and just a joy to be around. My foster mommy says I am super friendly and super sweet! I love to play with other dogs but prefer to hang our with my humans. I like little humans too. I am silly, kind of think I am an acrobat because I can jump clean over the couch when I get the zoomies. I am working on my house training skills. I am neutered, up to date on vaccines, and microchipped. Oh, and I am also crate trained. I don't think you will find a more amazing husky than me. My adoption fee is $250. Please email huskyhavenfl@gmail.com to apply.